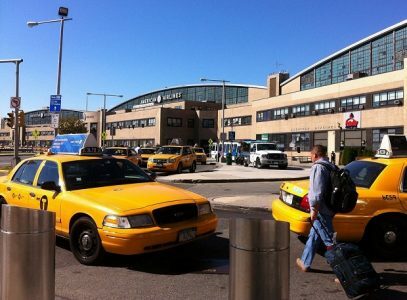 Anyone departing New York’s LaGuardia Airport for Labor Day weekend will need to get a really big head start, insiders say, as the renovation project at the nation’s least-favorite airport intersects with upgraded TSA security. In short, get in your taxi now. This past week already has been rough at LGA, as road work on the Grand Central Parkway and construction on Terminal B snarled traffic so badly that many travelers on Monday abandoned their taxis and walked from the highway. Transportation Security Administration (TSA) now reports “an increase in the number of travelers who are arriving late to the security checkpoints, with the travelers reporting that their drive to the airport was impacted as a result of construction.” To read more at Travel Market Report, click here.